ASLI Monthly Featured Artist – Michelle Morgan: talking art, mental health, shame and how to create change. Writer and poet Janeen Pergrin Rastall speaks to ASLI “I believe that creative work can inspire people to endure, to have hope and to express their dreams and despairs in a positive way”. Andrea Ballance is a survivor of the Buddhist group NKT and tells ASLI “I have lived through PTSD and RT (religious trauma). I feel that I have something to say that can help people. I feel art in all its facets has an important role to play in an individual’s health and the health of our whole society”. 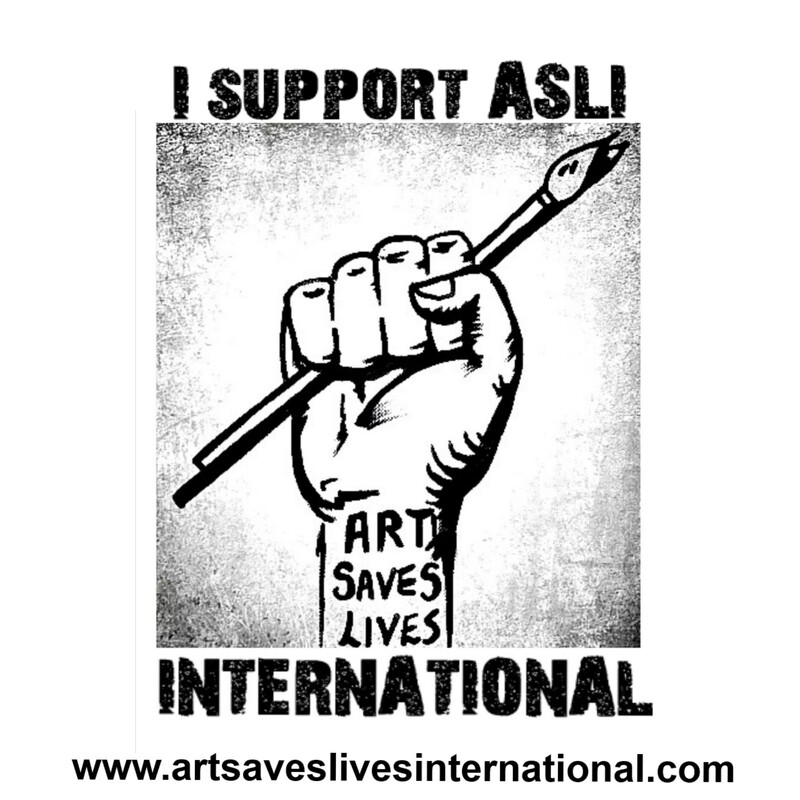 ASLI Artist Louise Tomkinson states: “to me, “art saves lives” means having the power to use the language of art, as art is strong enough to pull someone back from the brink, therefore becoming the voice which enables art to create change”. Artist Jade Bryant is fiercely tackling her mental illness with art and in the process is changing the world’s awareness of Borderline Personality Disorder and Antisocial Personality Disorder. Debra-Lynn Hook speaks to ASLI about her photography, mental illness and her inspiring mission; The Healing Body Image Project, “If photos help one of our women progress one step forward on her healing path, that is change worth noting”. Creative Writer Fara Johana Rasoanindrainy speaks about art and mental illness and says “writing is so liberating, I can write what I am unable to say”. “Depression can be a fatal illness and this is often forgotten.” Dave Hubble speaks to ASLI about the effects of domestic violence towards children and how his poetry aims to end the silence.